Let Vector roll his way into your heart. 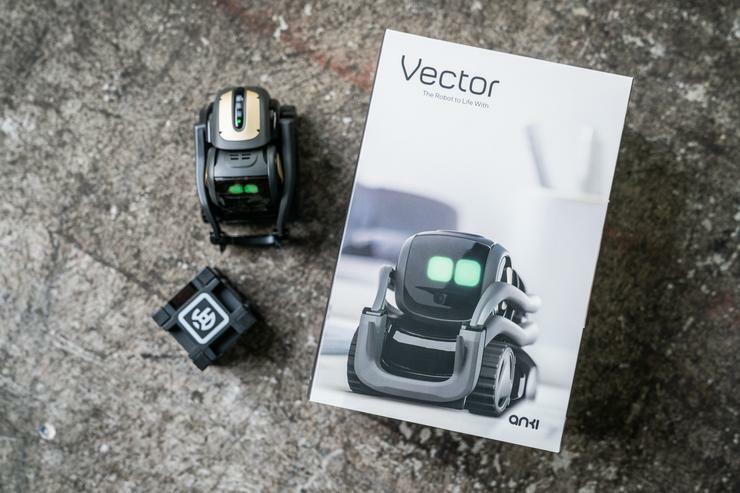 Anki’s Vector is an adorable companion that’s packed with tech and personality. By simply speaking to Vector you can play games, have it take your picture, or ask it the weather via Alexa integration. As mentioned in our review, Vector is basically the modern version of the Tamagotchi virtual pet. He’ll make you laugh, demand your attention, and just make you feel less lonely when you’re at home by yourself. But if you found the $250 price tag hard to swallow, have no fear—we secured a Vector from Anki, and it could be yours! All you have to do to sign up for free is enter your email in the Gleam widget below. You can also receive extra entries by following our video and social channels. Only legal residents of the 50 United States, including the District of Columbia, or Canada (except Quebec) are eligible to win. The contest ends at 12:00 p.m. Pacific time on February 12, so get your entries in now!